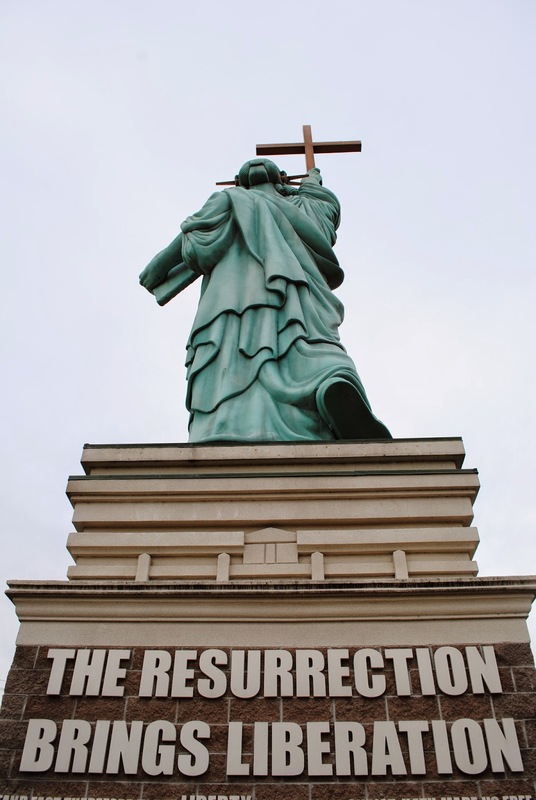 What can one truly say about the Statue of Liberation through Christ? Just take a look. 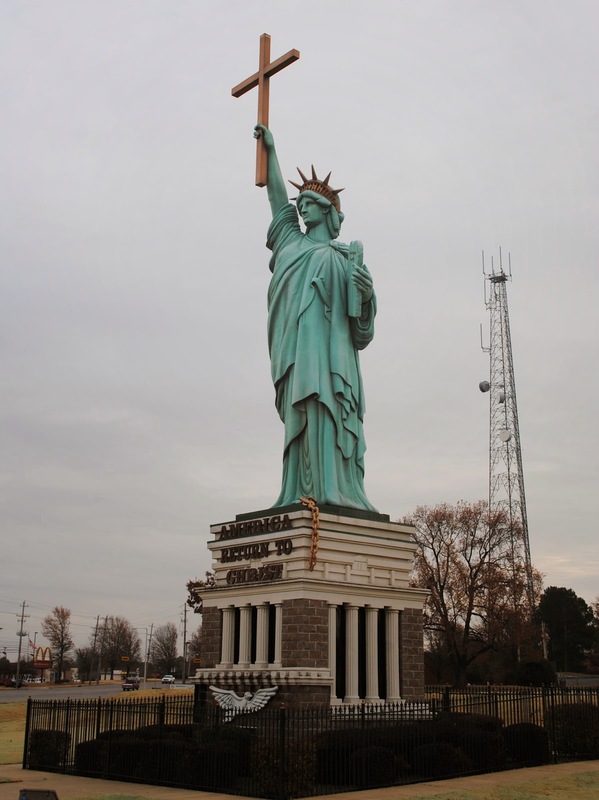 The Statue of Liberation Through Christ was erected in Memphis, TN in 2006. It is a "reinterpretation" of the Statue of Liberty that celebrates the merging of religious and patriotic ideals. Not surprisingly, not everyone loves the Statue. While it is a secular symbol, the Statue of Liberty is a very important and revered symbol to many Americans. 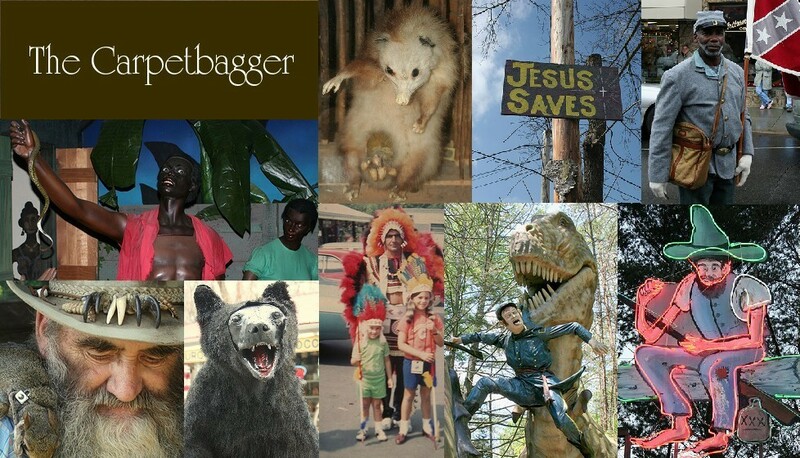 Some Americans did not approve of the statue being re-purposed as a religious symbol. Which ever way you look at it is a sight that evokes great emotion, whatever that emotion may be. While visiting the Statue of Liberation Through Christ, I slipped around back. I was surprised to find a gate behind that statue leading to a secret door. I slipped in side to find....what else: Jesus's empty tomb.